Meet Daniel - a real person whose name isn’t actually Daniel, but we will call him this so he remains anonymous. As he was approaching 50, he decided to downgrade his life insurance and trauma cover, as his premiums were getting a little pricey. His financial adviser found him a cheaper policy with a different insurance company, so he cancelled his old one and got signed up to the new one. No dramas. His new policy included a 90-day stand down clause, which stipulated he wouldn’t be covered for any claims related to symptoms that arose within the first 90 days of him buying the product. This is a standard clause essentially aimed at preventing people from waiting until they think they’re going to get seriously sick or die, and thus be eligible for an insurance pay out, before buying a product. Nonetheless, 60 days into his policy, Daniel started getting tightness in his chest and suffering from breathlessness. He was admitted to hospital and was later diagnosed with cardiomyopathy. It was only when he made an insurance claim on this trauma policy due to the situation that he became fully aware of the stand down period and the fact he would never be covered for anything related to his newly diagnosed heart condition. A harsh reality that could’ve been prevented. This is the message Financial Services Complaints Limited (FSCL) CEO, Susan Taylor, delivered to those at the organisation’s conference on Thursday. Having received his case, the FSCL found Daniel’s financial adviser should have ensured the old policy wasn’t cancelled, if not asked the new insurer to waive the 90-day stand down period, as Daniel had previously been insured. It ordered the adviser/his firm to agree to essentially step into the insurer’s shoes and pay for any valid cardiomyopathy-related claims - up to a certain amount - Daniel makes in the future. 1. 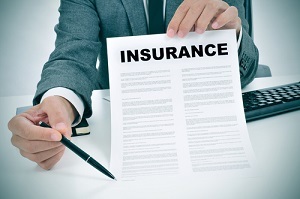 Never cancel your old insurance policy until the stand down period of the new one has lapsed. 2. Be wary of the fact your financial adviser isn’t God and can make mistakes. 3. Always make sure you understand the fine print of your policy. This is particularly important for people who buy insurance online and aren’t guided by an adviser. Taylor notes a stand down period poses risks people aren’t always aware of when they change life insurers. The biggest concern of course is that they aren’t covered for any pre-existing health conditions under the new policy, which they are covered for under the old policy. Tied into this, is the risk that they don’t disclose these conditions (either intentionally or unintentionally), so are denied cover for any claims they make in the future. Taylor notes people aren’t always aware of the fact most advisers are paid by commissions from insurers. With these paid in the form of soft commissions (ie overseas trips), and/or payment of up to 200% of their client’s annual premium for the first year, there can be an incentive for advisers to encourage their clients to switch policies every couple of years. A Financial Markets Authority (FMA) report released in June last year found that of the 1,100 financial advisers in New Zealand with more than 100 active life insurance policies on their books in 2014, 200 had a high estimated rate of replacement business. While the FMA voiced its concerns around this practice and is continuing to monitor it, Taylor says the number of “churn” related complaints the FSCL receives is low but growing. She says the difficulty is that often both the adviser and their client are at fault to some extent. Furthermore, it can be difficult to identify the level of compensation to be paid, as often the client discovers they won’t be covered for a certain condition, but they haven’t [yet] had to make a claim for it. “We’re really in those cases almost being asked to consider the hypothetical, which is, what is the risk of the client suffering that particular event at some stage in the future?” Taylor says. Jenée Tibshraeny "Govt wants more power to block overseas investors"